At first glance the image just looked like a crappy compressed otherwise nice picture. But the second time I recognized the Chinese temple in the mountain which wasn’t there in the first place. 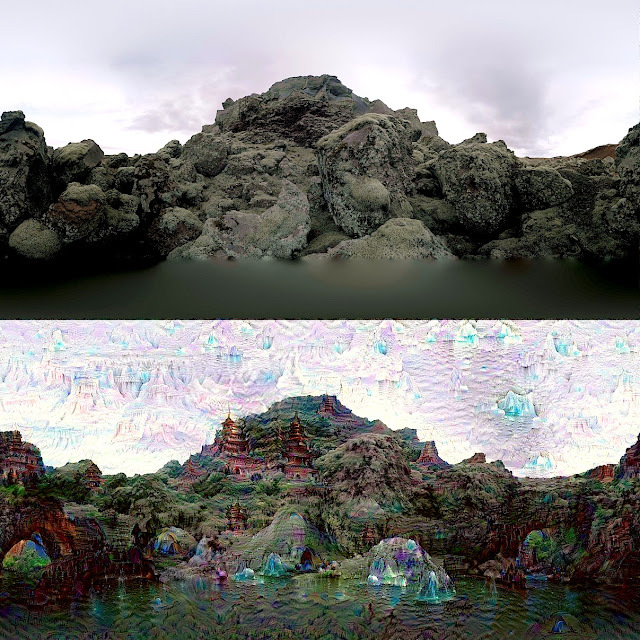 This picture is taken from a post on the Google Research Blog about an algorithm called Deep Dream. 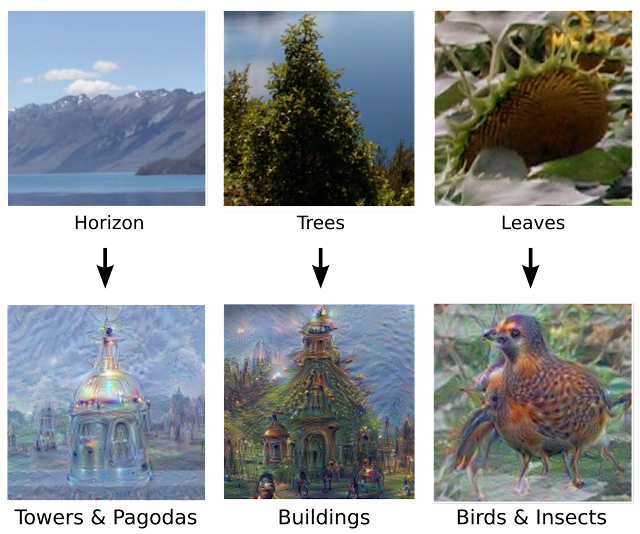 So what is this Deep Dream thing and what does it do? The blog goes in great detail on that with another post “Inceptionism: Going Deeper into Neural Networks”. Essentially it is all about the Artificial neural Networks (a.k.a. Deep Learning / Machine Learning). So how does all this work? For those interested in those things you should definitely check out the post. For those TL;DR guys: Human beings sit in front of machines and teach them the difference between words, accents or pixels/perspectives and add links and meanings to the information. So the first step is for the machine to recognize a banana in a picture as a banana. Or a fork as a fork. A fork for example has a handle and usually between 2 to 4 lines so it can be used as such but colors, shape, size or perspective don’t matter. The final step is how many iterations the program should run and by that create a totally different image or even images from random noise. TL;DR2: Humans teach machines to observe the world like human beings and to play with shapes, try yourself. EDIT: Here’s a tutorial on how to get things started on OS X by Sterling Crispin.